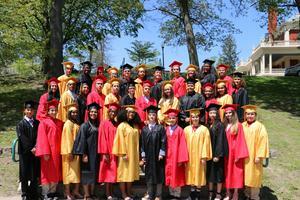 Congratulations to the Community Prep Classes of 2018 and 2014! 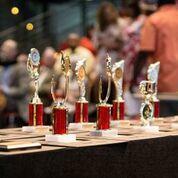 On June 14th, Community Prep topped 800 alumni! Our 8th graders are headed off to an impressive array of high schools. 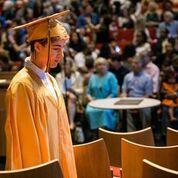 In addition, the Class of 2014 can be proud of one of the school's best college acceptance lists to date. Thanks to parents, teachers, staff, donors and friends for their support of our students' hard work! 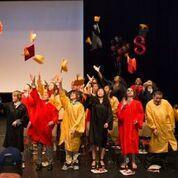 On June 14, 35 eighth graders became Community Prep graduates, bringing the number of our alumni to 821! We are so proud of their many accomplishments. 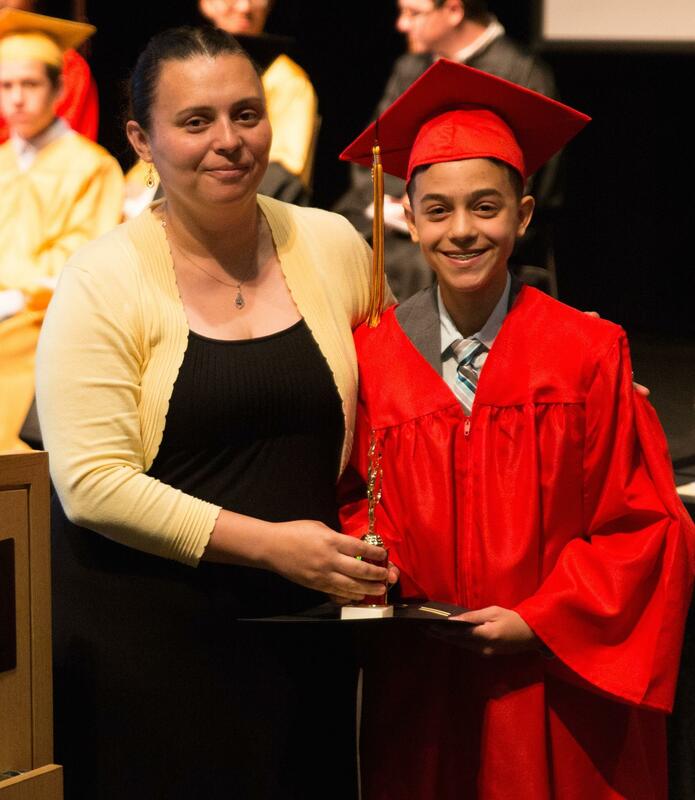 This year's class distinguished itself particularly well, earning scholarships to Deerfield Academy, La Salle Academy, Lincoln School, Moses Brown School, Providence Country Day School, Rocky Hill School, St. Raphael Academy, Tabor Academy, and Wheeler School. 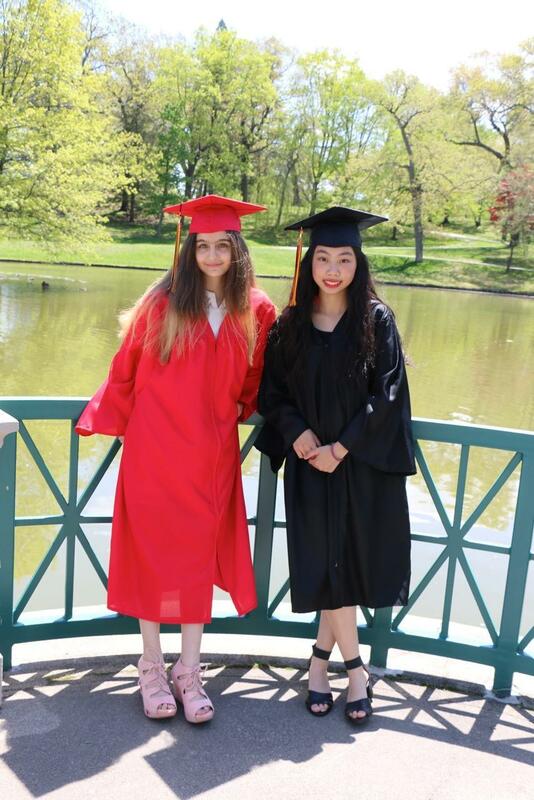 Our Providence students were accepted to Classical High School at three times the city-wide rate. Collectively, they were offered more than $1.8M in scholarships towards their high school educations. Members of the Class of 2014 are headed off to wonderful colleges including Bard, Bentley, Boston University, Brown, Case Western, Earlham, Lafayette, Northeastern, Providence College, Rhode Island College, Temple, Tufts, University of RI, Vanderbilt, and Wheaton. We couldn't be prouder of their hard work and vision. Wherever our graduates are, they know they can count on the Director of Placement and Graduate Support, Mónica Rodríguez '99. In addition to working with every eighth grader on high school entrance exams, selecting schools, applications, and financial aid negotiations, Mónica provides support to the students once they get to high school. She matches new 9th graders with cohorts of Community Prep alumni who attend or have attended the school. These alumni volunteers provide some of our graduates first networking opportunities. Our grads also know that their former teachers are there for them as well. They often check in, ask for advice, and if there is a day when Community Prep is open and the high schools are closed, there are always young alums stopping by to visit. "The alumni mentor group has helped my transition a lot," says Renina Wynn '16, "mainly because many of the people I spoke to not only went to CP but Moses Brown as well. Therefore, when going to high school, I knew what things to open myself up to, what teachers are hard or easy-going, and most importantly, how to really get in my on lane and succeed." "I just wanted to say a big thank you from the Jordan family. It has been a very special 5 years for our whole family. I can’t imagine our lives without CP! The kids will bring everything they’ve learned at CP with them into high school and beyond. We are very grateful for everything that you and the entire school staff and community has provided!"